When a couple of 14-year-old Arkansas boys find a cabin cruiser fifteen feet up in a tree on an island in the Mississippi River, you can tell we’ve entered Huckleberry Finn territory, where freedom and truth are on the river, while violence and betrayal are on the land. Just to make it clear, the title character – “Mud,” played by Matthew McConaughey — is a superstitious man with a cross pattern in a boot heel – just like Huck Finn’s father. McConaughey is on the run after having gunned down the man who beat up his sometime girlfriend, Juniper, played by Reese Witherspoon, who is much better as a tramp than she is in her usual ingénue roles. The police are looking for Mud, but he has little to fear from them. His problem is with his victim’s father and brother and hirelings, who are out to kill him. The boys who encounter him on the island are played quite brilliantly by Tye Sheridan as Ellis and Jacob Lofland as Neckbone, or Nick. Tye is the more romantic and Nick the more level-headed, and both are utterly believable as boys who have already seen too much of life and are struggling to make sense of it. They do their best to help Mud escape the island and reconcile with Juniper, but reality intrudes and their lives are in jeopardy until a mysterious neighbor sets things right with a sniper rifle. There is no Southern Gothic without sudden and explosive violence. The cast is wonderful, with Joe Don Baker as the revenge-seeking patriarch and Sam Shepard as the neighborhood sharpshooter. The film belongs to McConaughey, who demonstrates that he can thoroughly inhabit a character. But it wouldn’t be a coming-of-age film without Sheridan and Lofland, who see more of life in a few weeks than most people see in their whole lives. The film would have benefited from some editing – Ellis’s infatuation with older girl takes up too much time – and the ending is pat, but the story is well-told and the acting is well worth watching. McConaughey has been on a tear lately to prove that he is more than a hunk and an action hero, and “Mud” serves that purpose admirably. “Greedy Lying Bastards” is an indignant protest against the fact that the energy industry, especially ExxonMobil and the Koch brothers, has funded organizations and campaigns that have denied the existence of global warming or minimized its impact. The producer/narrator/star, Craig Scott Rosebraugh, was known in the 1990s as a spokesperson for the eco-terrorist Earth Liberation Front, and brings his unhinged sense of environmental righteousness to this piece of agitprop. According to Rosebraugh and some of the experts he presents, global warming is affecting our daily weather right now, leading to wildfires, tornadoes, hurricanes, and flooding. Judging from the film, the only dissenters from this view are various charlatans and villains in the pay of the oil companies. Naturally, George W. Bush and Justice Clarence Thomas are also key members of the cabal. Rosebraugh spends most of his time and effort chasing every public relations ploy ever launched by the energy sector. What he doesn’t do is attempt to provide any answer to the industry’s basic argument: that a serious attempt to reduce carbon emissions, by the degree needed actually to slow, halt or reverse the warming trend, would cripple our energy-dependent economy and slash the standard of living that modern society has come to expect. Greenpeace might not give a hoot if this happens, but millions of other people would surely object. To this rather obvious concern, Rosebraugh has no answer and seems oblivious to the question. The film runs about an hour and a half but seems longer because it keeps pounding away at the same simplistic theme, making for a repititious and tedious experience. It also asks the audience to be concerned about remote threats such as erosion in Alaska and flooding in Tuvalu. The latter consists of low-lying islands in the Pacific Ocean which may be getting flooded by melting polar ice caps, or may be just sinking into the ocean, as islands are wont to do. Alternative explanations are not allowed in Rosebraugh’s world, however. He is sort of a Michael Moore without the roguish charm, just an ideologue with a camera. I was one of seven persons in the theater on a Sunday night, and one guy left early. Rosebraugh’s partner is the onetime actress Daryl Hannah, who knows something about the oceans, having played a mermaid. Unlike Hannah’s movie, Rosebraugh’s is unlikely to make much of a splash. “Les Miserables” – the book, the show, the movie – is about the redemptive power of forgiveness, love, and commitment. If you think all that stuff is just bunk, then see something else this holiday season. But if you are ready for an operatic epic with an emotional punch, then the movie “Miz” should be on your must-see list. Well-acted and well-sung, with camera work ranging from wide-screen spectacle to close-up moments of poignancy, “Les Miz” is a tour de force in the fine art of bringing theatrical spectaculars to the screen. Musicals are hard to film, modern operas almost impossible, but director Tom Hooper pulls it off with style. The cast is anchored by Hugh Jackman, every inch the leading man as Jean Valjean; Russell Crowe as the relentless Inspector Javert; and Anne Hathaway as the victimized factory worker Fantine, whose slide into desperate poverty provides the story’s emotional core. “Skyfall,” the latest entry in the long-running James Bond franchise, is less about action and suspense than about the Bond brand itself. The film serves to assure an anxious world that our hero, played by Daniel Craig, will continue to battle evildoers. From the lengthy opening credits, enlivened by an original song by Adele, to the aging Bond’s flinty promise to return to duty, the film is mostly a series of gunfights in exotic locales punctuated by nerdy excursions into cyber security. It seems that someone has stolen a list of NATO intelligence operatives, a list the British were not supposed to have. “M,” the security chief played by Judi Dench, will go to any lengths to get it back. Bond takes a bullet intended for his adversary in a lengthy fistfight, but movies being what they are, makes a miraculous recovery and returns to work. Dench uses him to track down the bad guy who has the list, who is clearly a turncoat with inside knowledge of MI6 and its cyber-security. A harsh judgment M made many years before comes back to haunt her. Unable to rely on high tech, Bond reverts to the old ways, using shotguns and booby traps to battle the villains armed with automatic weapons. Fortunately he has his machine-gun-equipped Aston-Martin from the old days to even the odds somewhat. A chief interest in a Bond film is watching the exotic locales, in this one Shanghai and Macau. (It’s amazing what a Komodo dragon can do to a bad guy without a gun.) From those high-rise, ultra-modern cities, the action shifts to London’s underground, where the subway system and Winston Churchill’s wartime bunker provide a cramped, subterranean setting for further shootouts, until the scene shifts to a bleak landscape in Scotland. It seems that Bond grew up in the boondocks. The film is one or two shootouts too long and lacks any real tension among the main characters. Dench is getting too old for her role, and Bond’s implied romantic attraction to the agent named Eve is unconvincing. But the franchise rolls on. The closing credits explicitly mention the 50th anniversary of the franchise, launched in 1962 with Sean Connery in the lead. Words on the screen assure us there will be another Bond film. As if there was any doubt. As everyone knows, we do not elect the president by a vote of the people but by a unique American institution called the Electrical College. It gets its name from the fact that it decides who gets power. Every now and then, however, it gives the country a big shock. This results from short circuits in the political wiring. All attempts to reform the Electrical College have failed because of disagreements over whether we should have AC or DC. 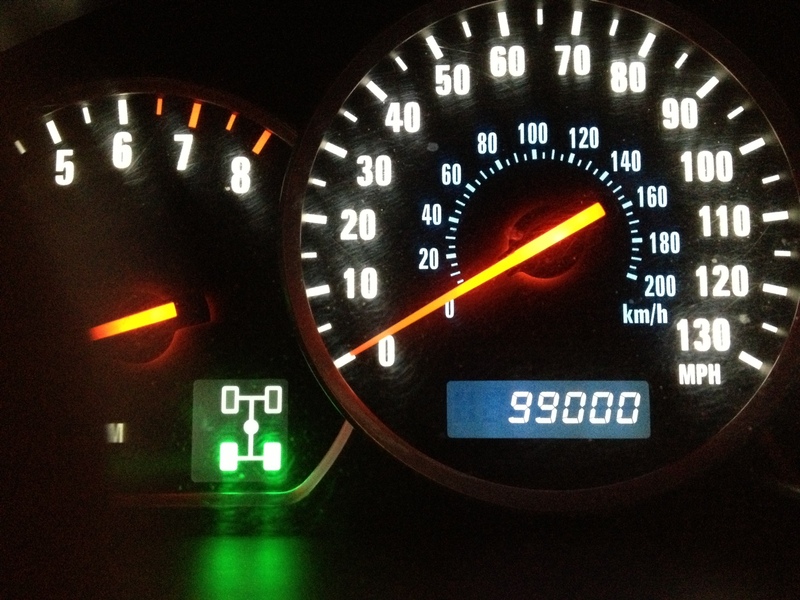 The result is inertia, eventually leading to entropy and decay. No one seems too concerned about this. Conor, who stands 6’4″, with the finished wood drying shed at Potomac Overlook Regional Park in Arlington, Va. The roof is clear plastic. The Lobb boys are a grand slam for Eagle Scout with confirmation that Conor, age 17, made it. His older brothers Bud and Matthew are also Eagles. Conor has enjoyed Scouting with Troop 681, Falls Church, Va., including a trek at the Philmont Scout Ranch in New Mexico and a 50-miler on the Appalachian Trail in Virginia. 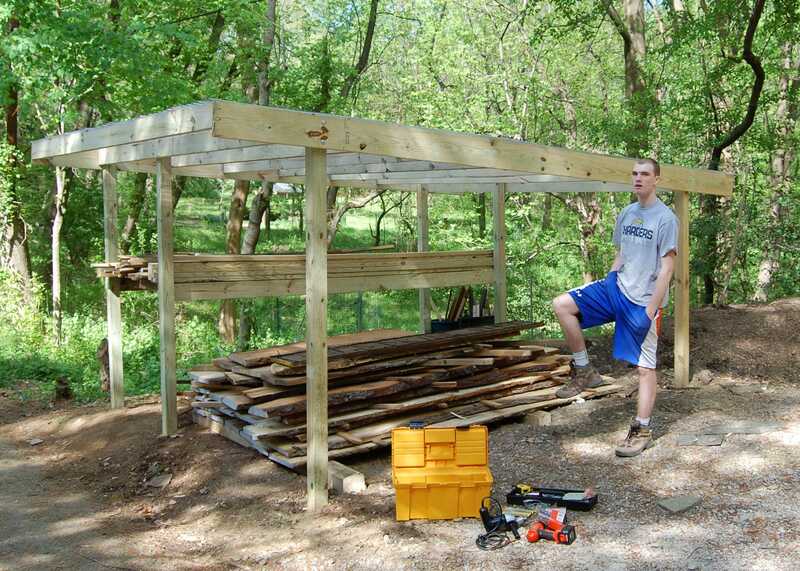 His Eagle project was the demolition of a wood drying shed at Potomac Overlook Regional Park in Arlington, Va., and construction of a bigger shed. This allows the park to harvest downed wood, dry it, and use it for furniture and other useful projects rather than chipping it or letting it rot. Conor will age out of Boy Scouts in October but hopes to continue in Scouting in a Venture group.